A convenient solution to an annoying problem—NEXGARD is the first flea and tick killer in a beef-flavored chew, a piece of health your dog will easily love. Designed specifically for dogs, NEXGARD kills adult fleas before they lay eggs, and kills ticks upon administration. Each chewable contains an ingredient, afoxolaner, that works on the nervous system of fleas and ticks which causes hyperexcitation and then death, and continues protection for a full 30 days. NexGard contains a brand-new ingredient not used in any other flea and tick protection. Afoxolaner, the ingredient in NexGard, works by absorbing rapidly and safely into your pet's bloodstream and causes uncontrolled activity the flea's and tick's central nervous system, which causes death. Afoxolaner is slowly excreted through your pet's metabolism, which allows NexGard to continue to provide effective treatment for a full 30 days. This means amazing protection in a tasty morsel! NexGard can be taken alongside your regular heartworm medication. NexGard is a prescription-only medication. Compare the competition and see which flea and tick killer meets your expections. *Comparison of external parasites. These comparisons are based on label information. ±Data on file at Merial. NEXGARD is given orally once a month, at the minimum dosage of 1.14 mg/lb (2.5mg/kg). 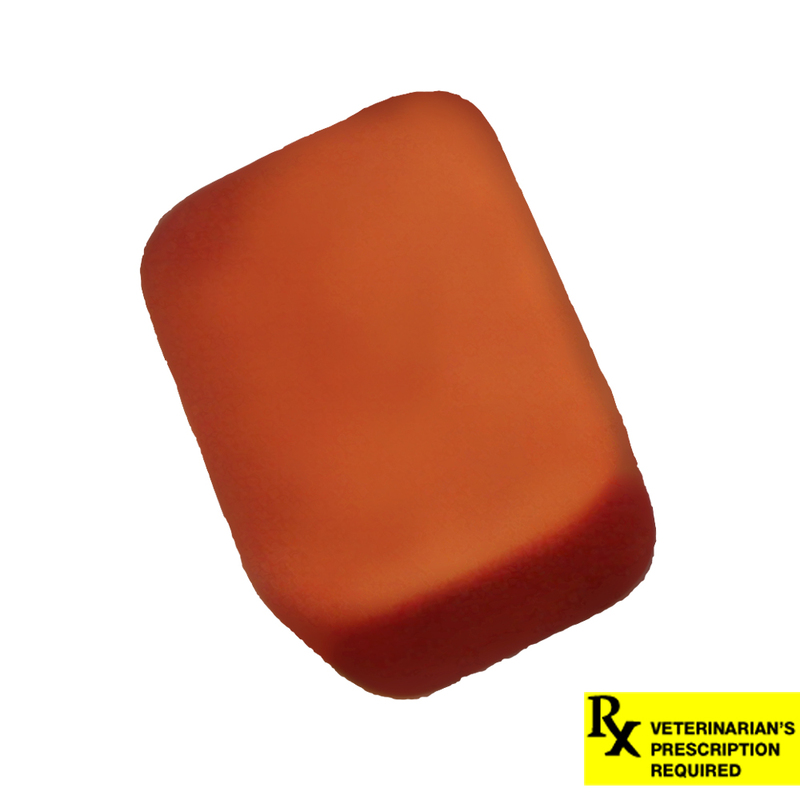 Each chewable is formulated to provide a minimum afoxolaner dosage of 1.14 mg/lb (2.5 mg/kg). Afoxolaner has the chemical composition 1-Naphthalenecarboxamide, 4-[5- [3-chloro-5-(trifluoromethyl)-phenyl]-4, 5-dihydro-5-(trifluoromethyl)-3-isoxazolyl]-N-[2-oxo-2-[(2,2,2-trifluoroethyl)amino]ethyl. Caution: Federal (USA) law restricts this drug to use by or on the order of licensed veterinarian. Warning: Not for use in humans. Keep this and all drugs out of the reach of children. In case of accidental ingestion, contact a physician immediately. Precautions: The safe use of NEXGARD in breeding, pregnant or lactating dogs has not been evaluated. Use with caution in dogs with a history of seizures.